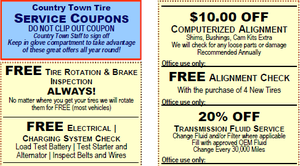 If you need to shop for tires, stop by and see us in Hickory, NC for dedicated assistance. A driver needing or wanting to shop for tires can easily become confused not only by the many options available to them and their vehicle, but the many codes, manufacturers, and types of tires that are out there. To make shopping for tires a little bit easier, here are some suggestions. First, know your vehicle. Know what type of tires are standard for your vehicle, what size of tires it can accept, and what type of driving is intended for the tires you buy. Knowing this information is critical if you want your car to continue to operate reliably. If you have the wrong size or type of tires on your car, you could compromise your safety, fuel efficiency, and comfort when you drive. Second, as you shop for tires, make sure that you work with a business you can trust. By doing this, you will be better enabled to drive away from their shop with a new set of tires that complement your needs and your wants. At Country Town Tire & Auto Service Center, unparalleled customer service is our number one goal. We have several different locations, including one in Hickory, North Carolina, and are here to help you with everything you need as you shop for tires. If you’d like to know more about our services and the types of tires we have to offer, please give us a call today.